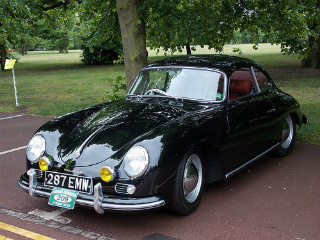 Creating a sports car from the Volkswagen Beetle was Ferdinand Porsche's dream, but he would have to wait until after WW2 to fulfil his goal. 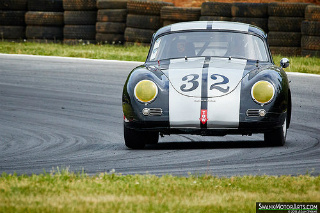 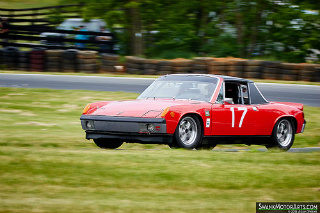 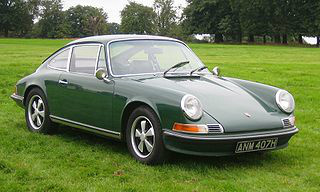 In 1964, the 911 Porsche sports car made it debut. 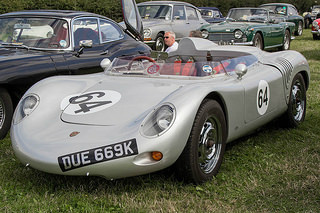 It was a 2+2, with an air cooled, rear mounted, 2 litre, 6-cylinder, engine that developed 130 bhp and was linked to a four or five speed gearbox. 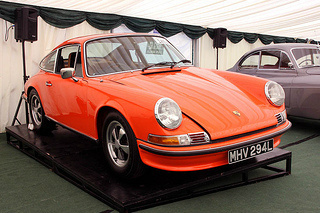 In 1966, the more powerful Porsche 911S was launched with the power increased to 160 bhp, and fitted with Fuchs alloy wheels. 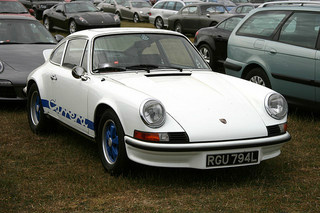 In 1967, the 911T was introduced which developed 108 bhp replaced the earlier 912 model. 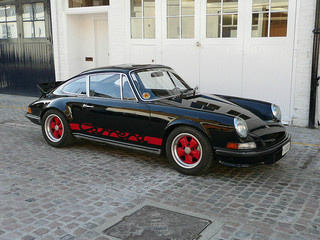 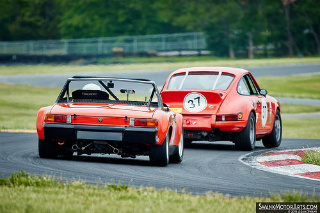 In 1973, the 911 Carrera 2.7 RS Porsche sports car heralded the introduction of the company into racing. 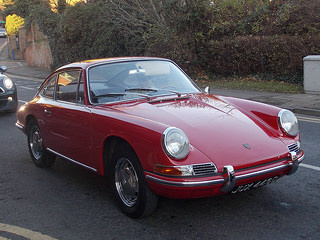 It was fitted with the larger 2.7 litre engine with Bosch fuel injection, togethr with stiffened suspension, larger brakes, and that very distinctive rear spoiler. 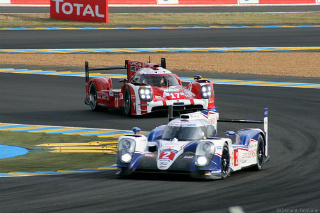 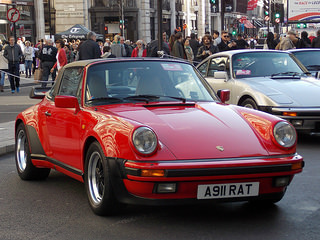 The term "Carrera" was Spanish for "race", whilst "RS" meant "racing sports". 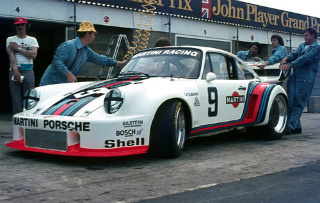 In 1974, the 911 Carrera 3.0 RS appeared, with a Bosch fuel injected 3.0 litre engine that developed 230 bhp. 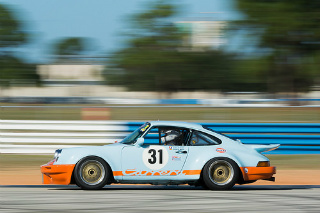 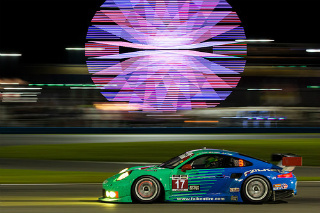 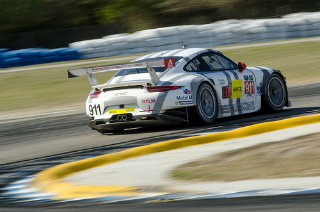 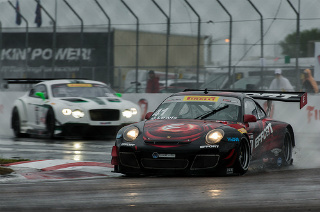 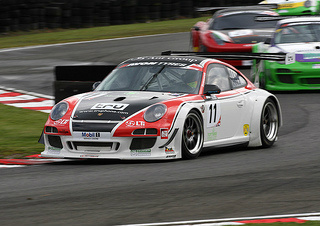 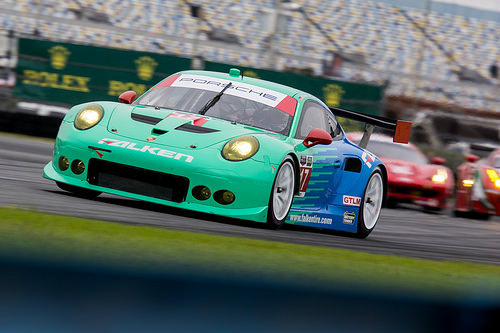 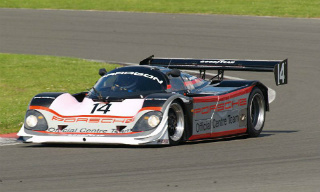 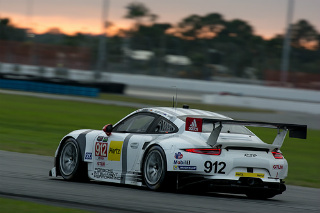 The Carrera RSR 3.0 variant was targeted at works teams, and had a number of track successes. 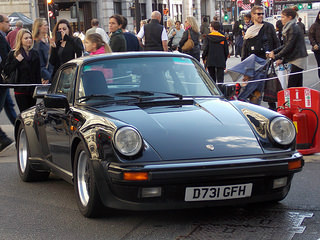 In 1974, the 911 Turbo was introduced. 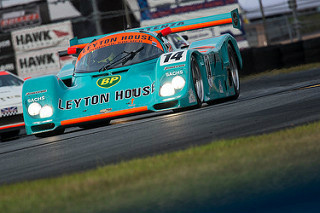 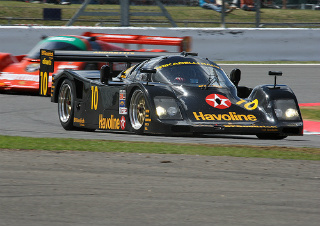 The engine was a turbocharged 3 litre, 260 bhp unit. 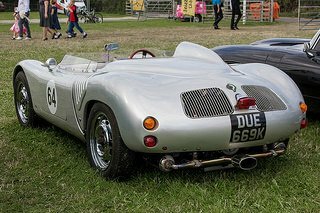 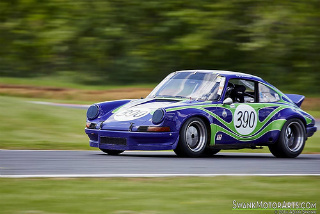 Known as the Type 930 sports car, it had distinctive wide wheel arches and a large rear spoiler, often referred to as a "whale tail", which increased more air to the engine so creating a greater downforce at the back of the car. 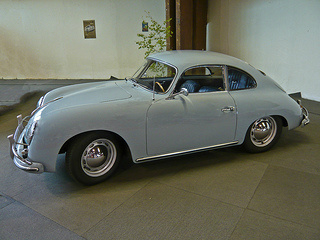 To cope with the higher power, it had uprated suspension, larger brakes, and a more robust gearbox. 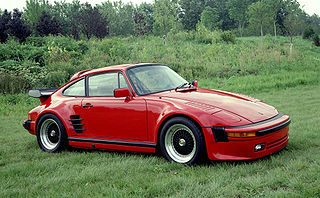 In 1976, the Carrera 3.0 sports car was introduced. 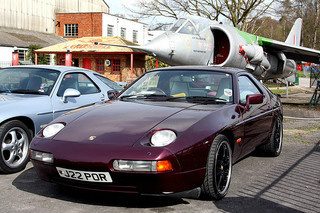 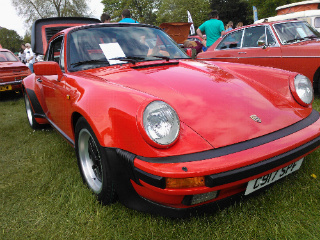 It used the 930, 3 litre, Turbo engine with Bosch fuel injection, but without the turbocharger. 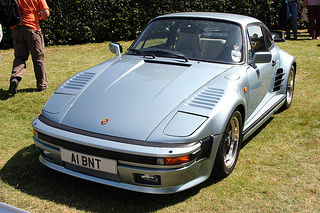 By 1978, the engine of the 930 Turbo had increased to 3.3 litres, and an inter-cooler was positioned under the rear spoiler. 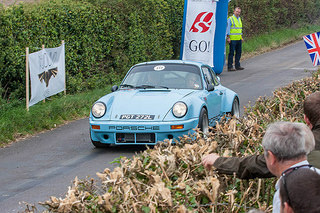 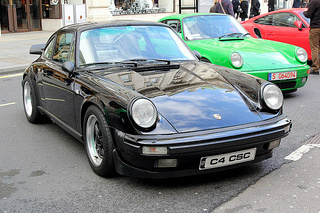 Also that year, the 3 litre, 911SC sports car was introduced and was, In essence, a Carrera 3.0 with a detuned engine. 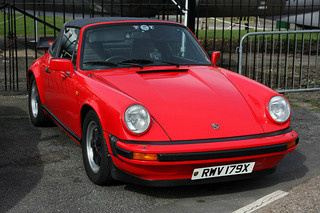 It was fitted with Bosch K-Jetronic fuel injection and a five speed gearbox. 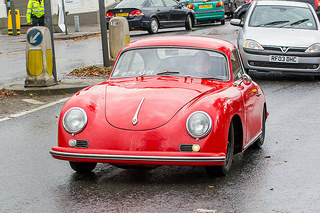 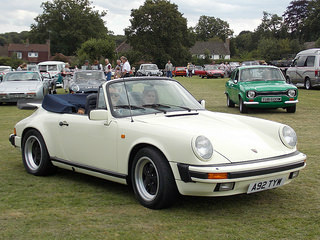 In 1982, Porsche introduced the first 911 Cabriolet, the last such model being seen on the 356 in the 60's. 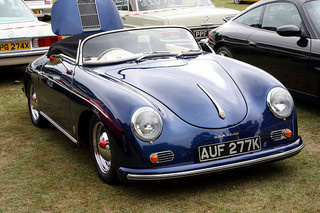 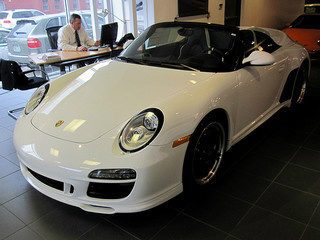 Its success meant that a Cabriolet would be offered in the future. 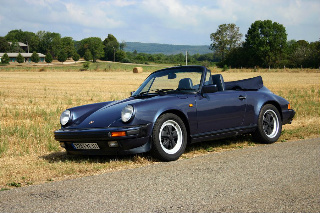 In 1984, the 911SC was replaced by the 911 3.2 Carrera Porsche sports car. 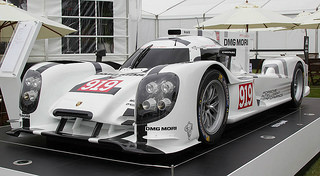 The higher compression engine developed 231 bhp in non US markets. 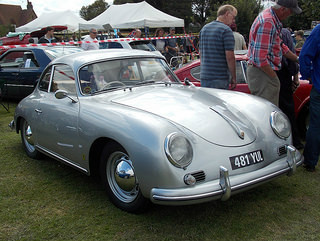 Larger disc brakes were used, an it was now fitted with the improved L-Jetronic fuel injection. 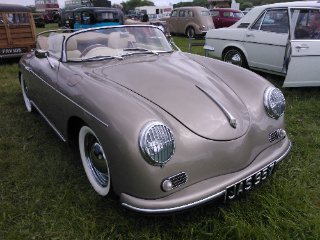 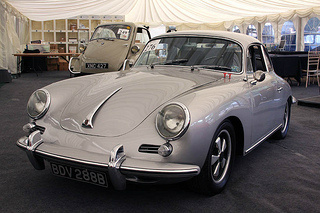 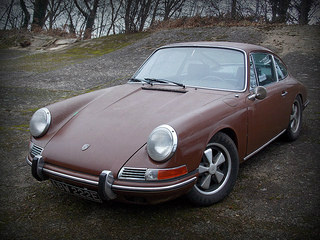 All Carrera models were offered as a fixed head coupe, cabriolet and targa (with removable hard top) versions. 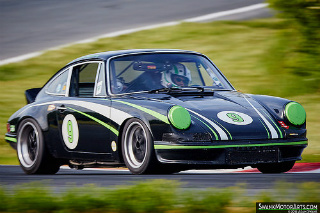 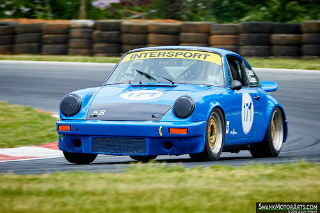 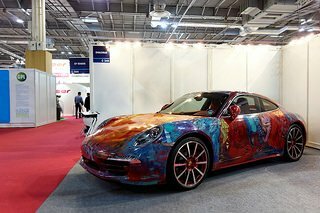 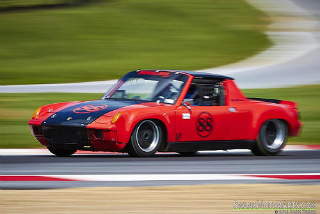 This was, in effect, the last version of the original 911 series. 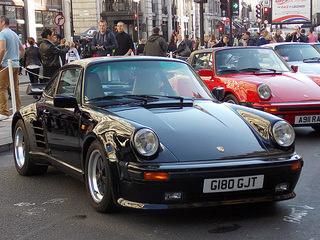 Also, that year, Porsche introduced the Supersport, which had a striking resemblance to the 930 Turbo, with wide wheel arches and the distinctive rear spoiler. 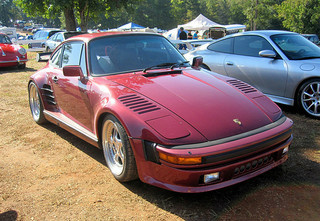 Hence its alternative name of the "turbo look". 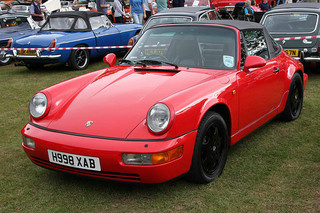 In 1989, the 911 Speedster was launched, which was a low roof version of the Cabriolet. 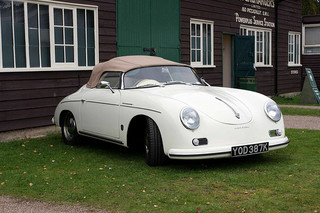 It was available as a narrow bodied version, or in the style of the Supersport and still with the 3.2 litre engine. 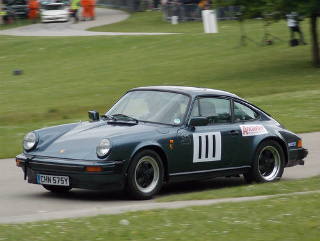 Also that year, the 911 Type 964 series made it debut. 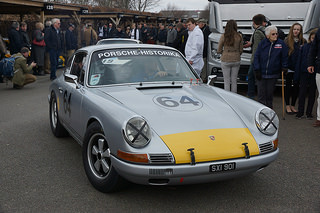 It was introduced as the 911 Carrera 4 Porsche sports car, with a larger 3.6 litre engine. 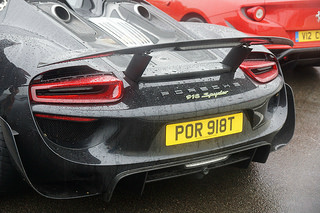 A rear spoiler was activated at high speed, and "4" signified four wheel drive. 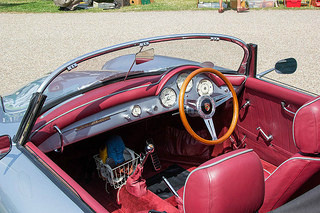 For the first time, there was ABS and powered steering. 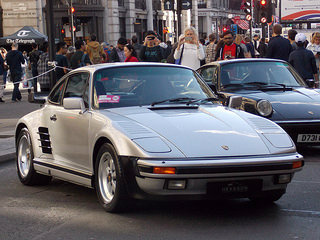 The 930 Turbo experienced unprecedented demand in the late 1980's. 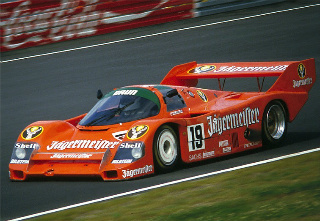 However, in 1990, it was replaced by the Type 964 Turbo Porsche sports car, with an updated 3.3 litre, turbocharged engine. 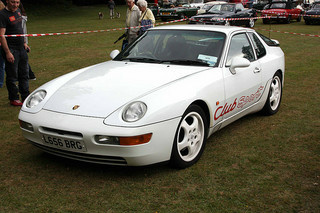 In 1992, the 964 3.8 Carrera RS Porsche sports car was launched. 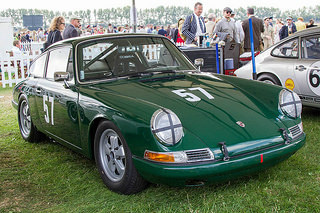 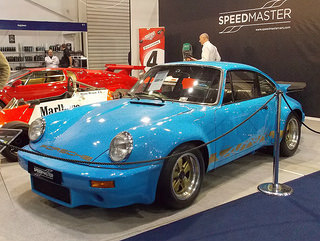 It had the Turbo Style body, similar to the Supersport, a 3.8 litre engine, and a larger fixed "whale tail" rear spoiler in place of the movable one used in the Carrera 2 and 4. 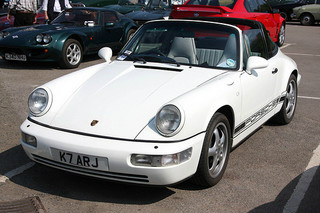 In late 1993, the 964 Turbo Porsche sports car was fitted with the turbocharged version of the 3.6 litre engine from the Carrera 2/4, which produced a massive 360 bhp. 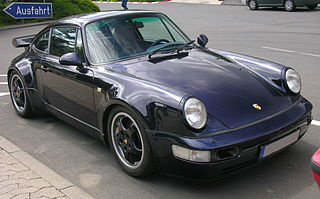 In 1994, the Type 993 sports car was introduced, and represented the final series of air cooled 911's which originally appeared back in 1964. 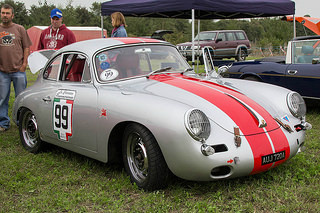 The revised body styling was smoother, with a more aerodynamic front end, and a new rear. 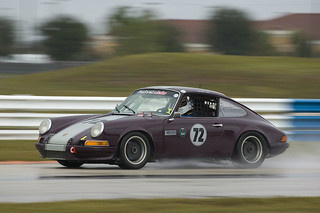 Both suspension and chassis were modified. 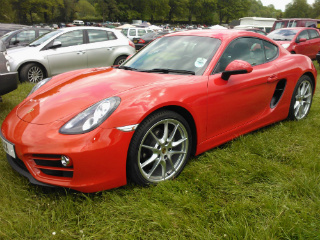 The engine remained at 3.6 litres, but power increaseed to 272 bhp. 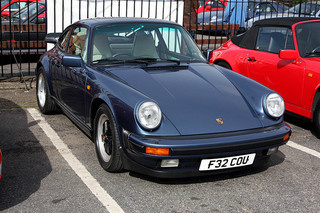 In 1996, it was further increased to 286 bhp. 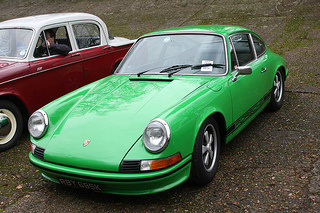 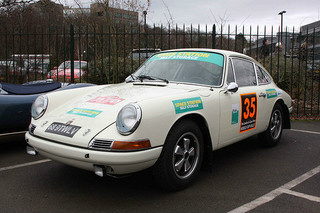 The Carrera 4 and 2 versions were available, the latter being simply called the Carrera. 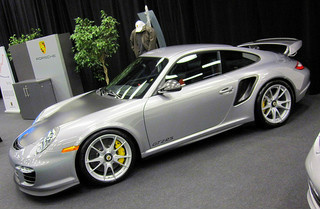 In 1995, the 993 Turbo sports car was launched. 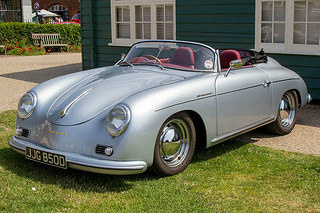 It was the first Porsche to be fitted with twin turbochargers, which produced 408 bhp from the 3.6 litre engine, and the first Turbo with four wheel drive. 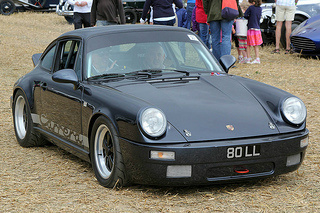 In 1998, the Type 996 sports car was introduced, in which the air cooled 911 was replaced with a water cooled version. 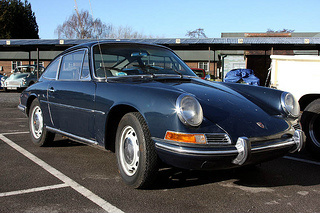 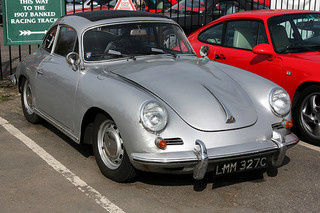 The body styling of all previous 911's was based on the original 1963 version. 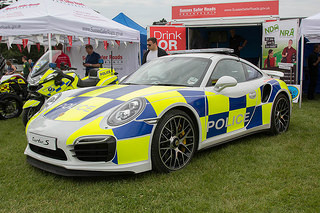 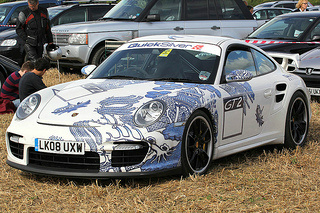 However, the 996 incorporated a redesigned body shell. 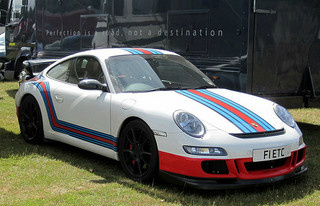 The 996 911 formed the basis of a whole series of variants, such as the Carrera 4, "Turbo Look" Carrera 4S, the racing orientated GT3, and the 996 Turbo. 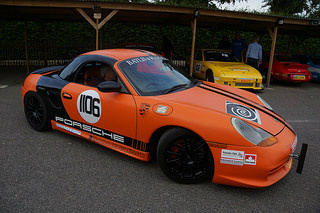 The 996 GT3 Porsche sports car was based on the racing GT3, and was fitted with lowered suspension and the use of lightweight materials for the body. 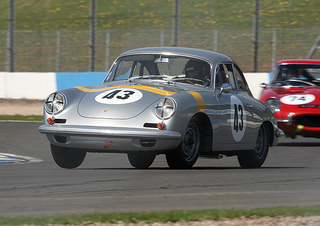 Powered by a 3.6 litre engine that developed 360 bhp, which was later increased to 381 bhp. 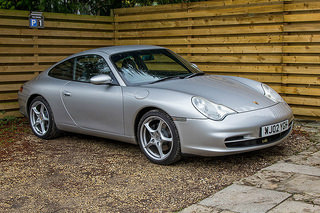 In 2000, the 996 Turbo sports car was launched, powered by a four wheel drive 3.6 litre, twin turbo engine, which developed 420 bhp and produced a top speed of 189 mph. 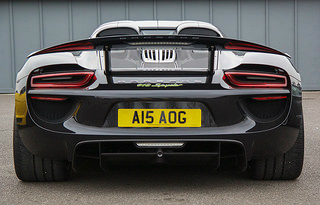 As an option, the X50 pack was offered which increased output to 450 bhp, and produced a 0-62 mph time of 3.9 secs. 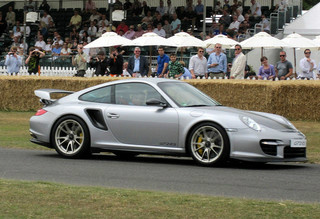 Later, a 996 Turbo S was introduced which also developed 450 bhp. 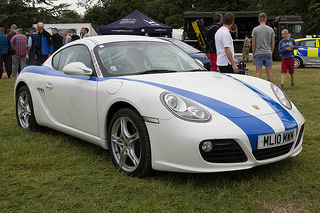 In 2005, the 997 Series was introduced with the 3.6 litre Carrera and Carrera S sports car, which developed 325 bhp and 355 bhp, and with 0-60 mph in 4.5 secs and 4.2 secs respectively. 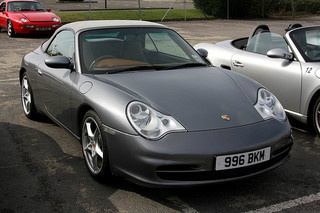 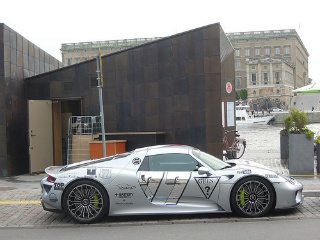 The body styling was based on the 996 Series. 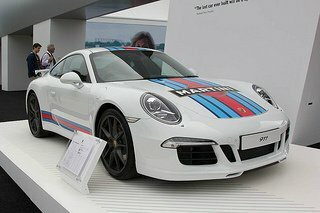 In 2006, the four wheel drive 997 Turbo was introduced, powered by the sale 3.6 litre twin turbo engine as in the 996, but now developing 473 bhp. 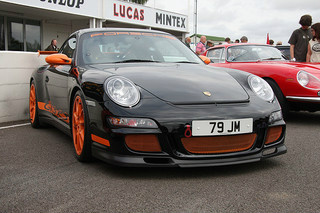 This produced a top speed of 193 mph, and a 0-62 mph time of 3.7 secs. 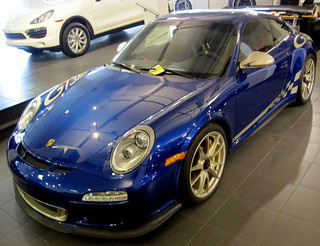 That same year, the 997 GT3 sports car was launched, with a top speed of 193 mph, and a 0-62 mph time of 4.1 secs. 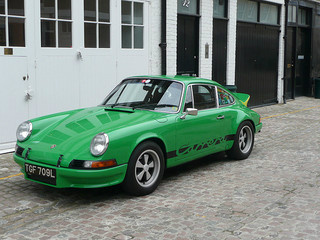 There was also an RS Mark 1 version with the same top speed and 0-62 mph in 4.0 secs. 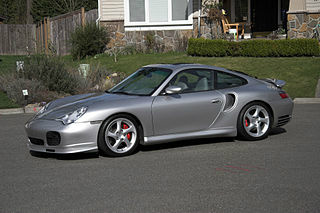 In 2007, the rear wheel drive 997 GT2 Porsche sports car was introduced, powered by the 3.6 litre, twin turbo engine that developed 523 bhp at 6500 rpm, and 505 ft/lbs of torque at 2200-4500 rpm. 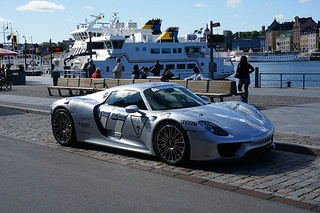 It had a a top speed of 204 mph, with 0-60 mph in 3.6 secs, and 0-100 mph in only 7.4 secs. 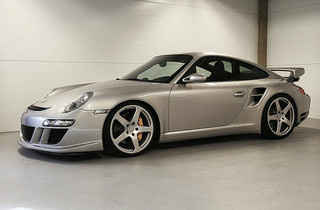 In 2009, the 997 Turbo underwent some restyling and was fitted with the new 3.8 litre engine with modified twin turbos. 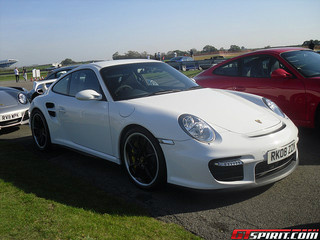 This developed 493 bhp, and produced a top speed of 194 mph, and a 0-62 mph time of 3.4 secs. 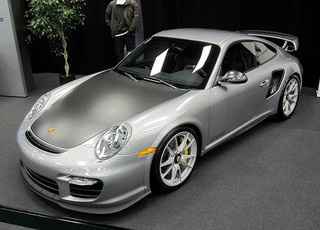 In 2010, the 997 Turbo S was introduced, powered by the 3.8 litre engine with redesigned twin turbos. 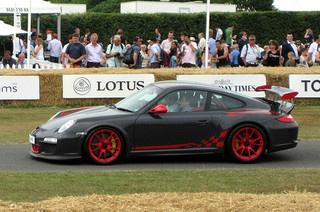 This developed 523 bhp, and produced a top speed of 196 mph, and 0-60 mph in 2.7 secs. 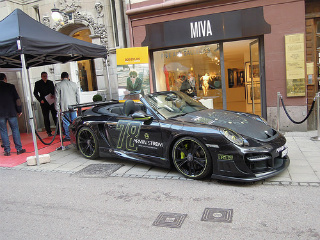 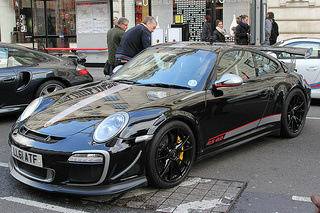 Also in 2010, the 997 GT2 RS sports car was launched, and the 3.6 litre unit developed 612 bhp and 516 ft/lbs of torque. 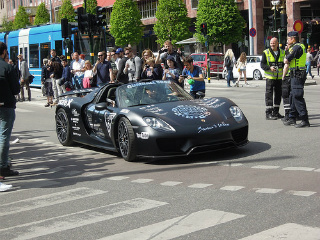 This produced a top speed of 205 mph, and 0-62 mph in 3.4 secs. 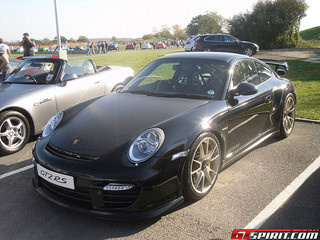 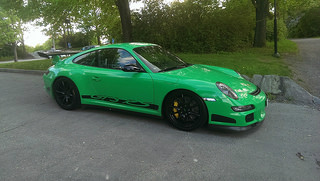 The 2010 997 GT3 RS Mark 2 model was fitted with a 3.8 litre, flat 6 engine that developed 444 bhp and was succeeded, a year later, by the final development of the 997 Series in which the new 4.0 litre engine developed 493 bhp and produced a top speed of 193 mph and 0-62 mph in 3.9 secs. 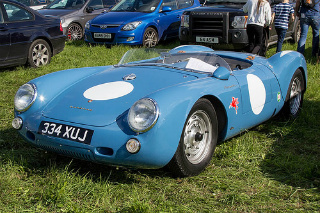 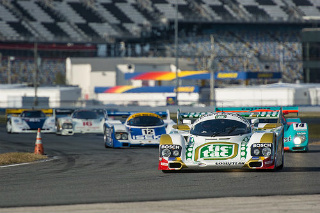 Got any stories about Your Favourite Porsche Sports Car?